This shoe surfaced on the internet and who ever is responsible for the design, did a pretty cool job! 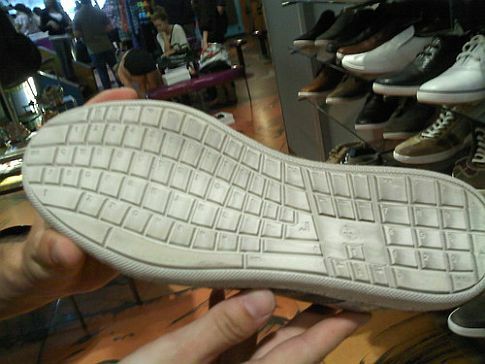 We like to call this the “QWERTY Shoe”. If these shoes ever worked when you plug them into a laptop or a desktop, that would be awesome. Just imagine you are on your way to the store with these shoes on and need to text your friend. All you would then need is the art to balance yourself on one foot and type away! Happy Birthday Home Computer – 33 years old today! Previous Dark Side of Technology – Wikileaks Whistleblower to be Executed?